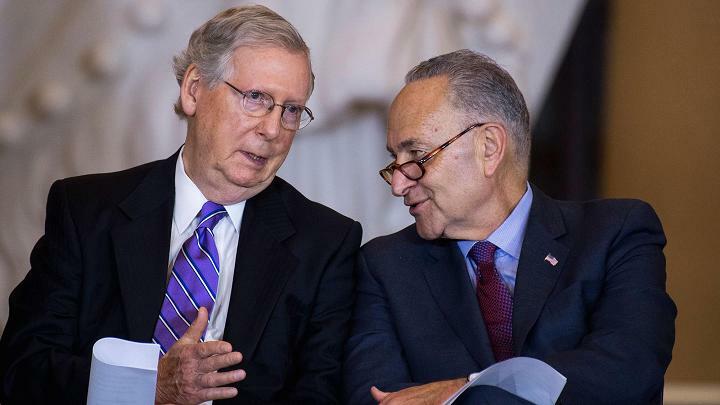 Senate Democrats say they are accepting a deal with Senate Majority Leader Mitch McConnell (R-Ky.) for an immigration vote, clearing the way for passage of a bill to reopen the federal government., reports The Hill. McConnell promised to take up an immigration bill that would protect an estimated 800,000 Dreamers from deportation, under an open amendment process, if Democrats would agree to end the government shutdown. Senate Minority Leader Charles Schumer (D-N.Y) said that pledge was enough for his caucus to accept a three-week government funding bill. Schumer: "in a few hours, the government will re-open"